Wow, I cannot believe we are already in the month of February!! And anytime I think of February, I think of Valentines Day, don’t you?? 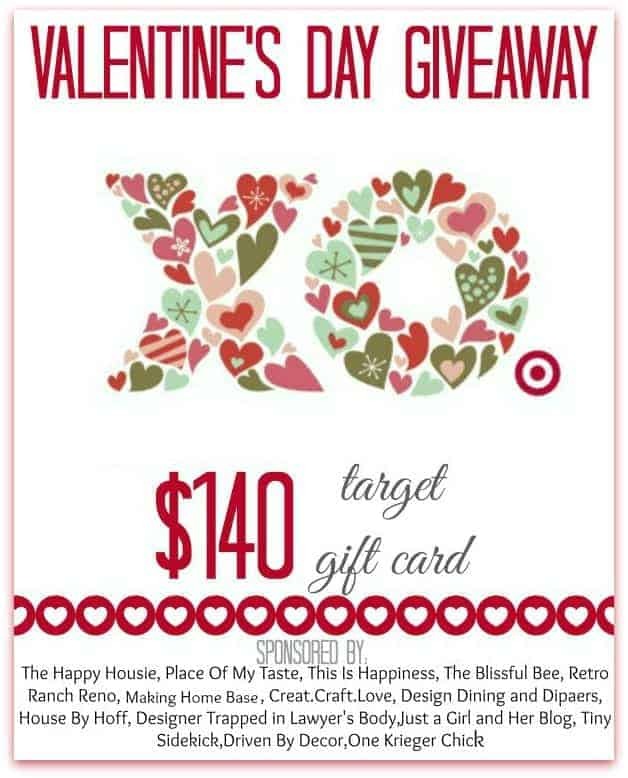 I’m not the most romantic gal you’ve ever met, but it’s still fun to get in the Valentines spirit every now and then – especially when we’re giving away $140!!! 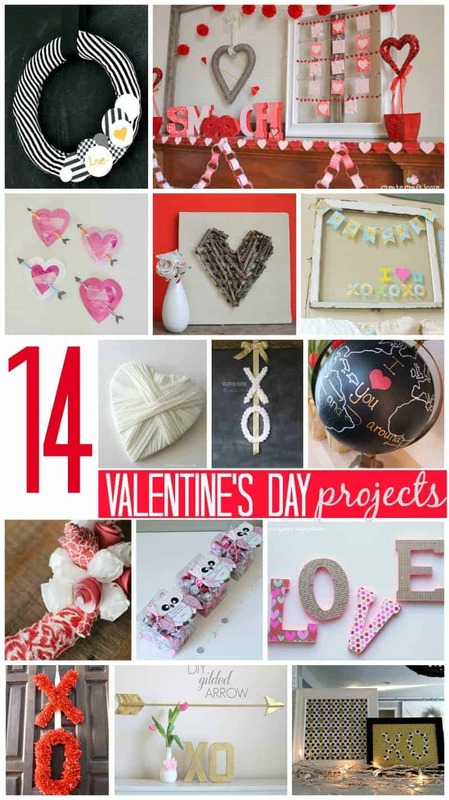 Today I am teaming up with 13 other creative bloggers to share with you our very own DIY Valentines Day projects. Ok so I have to admit, it took me a while to figure out what I was going to create for my Valentines project. I had a few ideas churning, but I really didn’t know which one to choose. 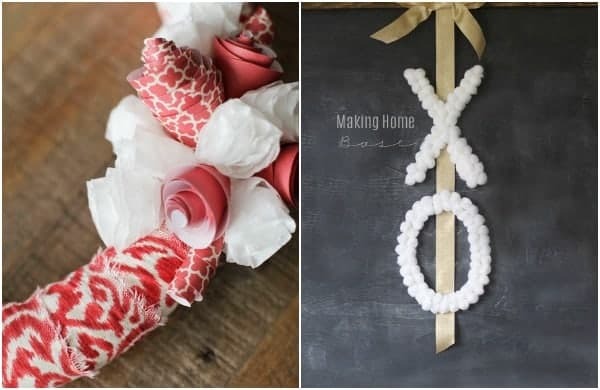 I finally narrowed it down to my favorite option which was a DIY paper and coffee filter rose wreath. I had been wanting to make paper flowers for quite some time and thought this would be the perfect project to try it out. For today, we are going to focus on the wreath design and I will be posting the rose tutorial on Thursday. Some of my supplies I already had on hand, like the fabric and hanging ribbon. I used scrapbook paper and coffee filters for the flowers. The coffee filters were found at the $1 store and the scrapbook paper was bought at Michaels. I also found the styrofoam wreath base at Michaels as well for around $8 or $9. There are two types of styrofoam wreaths you will find when you walk into a craft store. One has a more condensed consistency. Always use the more condensed styrofoam when you know you will be dealing with hot glue. The harder styrofoam won’t melt from the hot glue like the standard styrofoam will. I first created a hand full of paper and coffee filter flowers to bundle on the wreath. Once I got tired of making the flowers, I decided I would move on to something less detailed. I then moved on to wrapping my wreath base. I used about a yard worth of fabric and tore it in 2-3 inch strips (kind of like my DIY Photography Backdrop I posted about a while back). I then began tightly wrapping (and hot gluing) my fabric around the styrofoam wreath. After it was completely wrapped, I then started arranging (and hot gluing) my flowers in a random assortment. What do you think?? No purchase necessary. To enter, participants must use the Rafflecopter form above. This giveaway is in no way affiliated, administered or endorsed by Target, Twitter, Facebook, Instagram or Pinterest. The giveaway closes on February 14 at 11:59pm. The winner will be notified via email. Winner must be 18 years of age or older and a US resident in order to win. Prize is valued at $140. Winners are responsible for paying any necessary taxes on winnings. Those flowers are so clever! 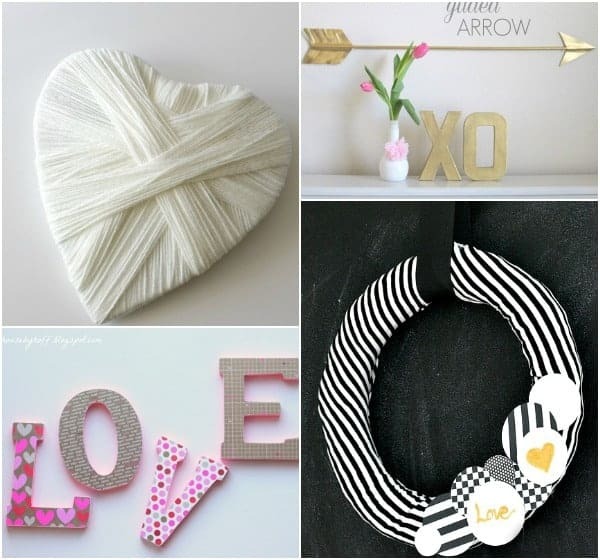 And I love how your wreath turned out – that fabric is so fun! I adore Target. We don’t have one in our town but there is one not too far away so it’s always an adventure to go to target and boy do we shop when we get there!!! THANKS so much! 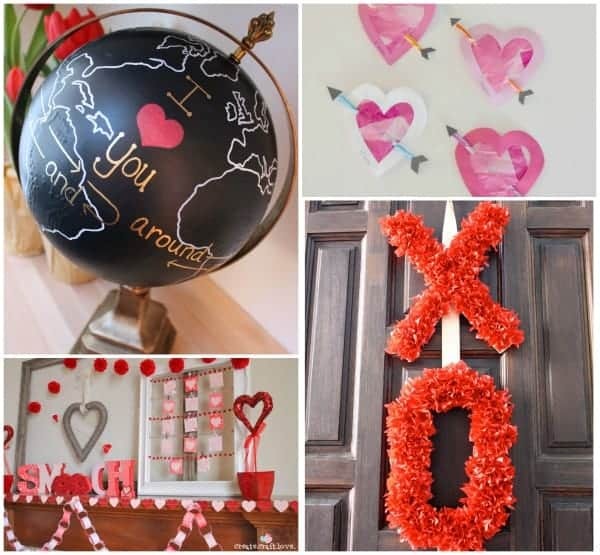 Pingback: Kid Crafted Valentines, a Valentine's Day Inspiration Hop, & a $140 Target Gift Card Giveaway! I love Target! They always have trendy home décor at great prices. Some great crafts here! I love that wreath, so cute! Also, I love Target! I can always score something awesome on clearance! I love Target because they’re convenient, have a wide variety of goods and stylish! I love Target because they carry all the items I need to survive. Where else can I buy my favorite conditioner, Valentine socks, and a giant pretzel?! I love Target because you can get everything you need there! And, they let you stack coupons which makes me a HUGE fan! I love to save money any time I can! I Love target because it helps those of us not made of money make our houses still feel chic and put together! So beautiful, Amy! I love the fabric you chose, and I will definitely be back on Thursday to check out the pretty flower tutorial! It was a blast being on this hop with you! Have a great week! I am loving that fabric, Amy! Your wreath turned out beautiful! Super pretty Amy!! I love the mixed flower types- have to give those paper flowers a try- pinning! Amy, I adore everything about your project, especially the paper flowers! So happy to be part of this blog hop with you! Adore your wreath! The flowers are so pretty and love, love the fabric! Really pretty Amy. You could leave this up for spring and it would be perfect! Happy to be part of the hop today! Hope you have a great week! I love everything about Target. Home collection, clothes, jewelry, shoes, everything. I also really love your wreath. So cute. I love Target because it’s easy to find inexpensive home goods and purchase grocery items, too! Love your blog! Thanks for the chance to win!!!! What’s not to like about Target. They have great home decor deals and their baby clothes are too cute. Where else besides Target can you get fab home decor AND eggs and milk! I love Target! It is super close to my house and always has just what I am (or in many cases and not even) looking for! Thanks for hosting! 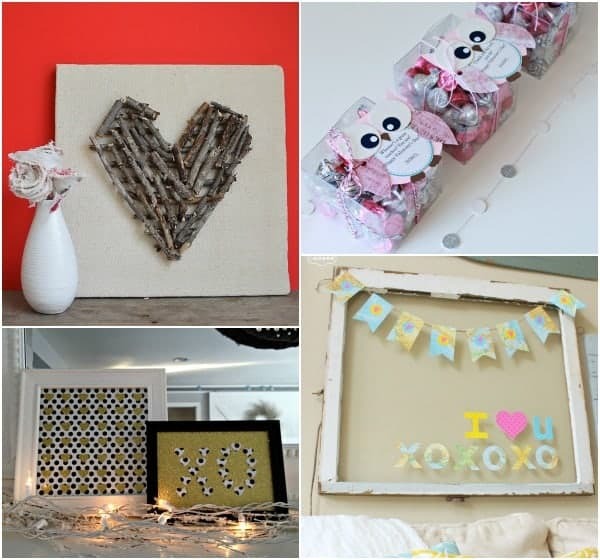 All of the Valentine’s Day projects are really cute! P.S. I love Target because it is less a mile from my house, and has groceries, cleaning items, plus fun home decor and crafting stuff! I love Target because they have everything you want including beautiful home decor at an affordable price!